Congratulations to Emily Terry! 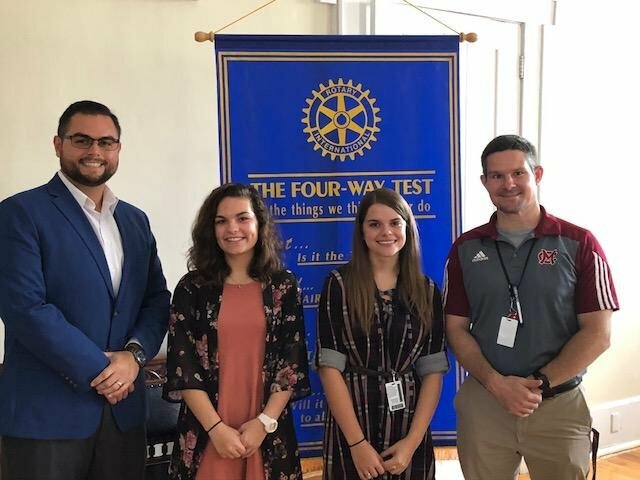 Emily is the MCHS Newberry County Rotary Club Student of the Month for September 2018. She was recognized at the Newberry County Rotary meeting on Friday, September 21, 2018. Congratulations to Makayla Nichols! Makayla was the Newberry County Career Center Rotary Club Student of the Month for September. Our 2018-2019 Teacher of the Year, Mr. Brandon Armstrong, was also recognized during the meeting. Congratulations Mr. Armstrong!